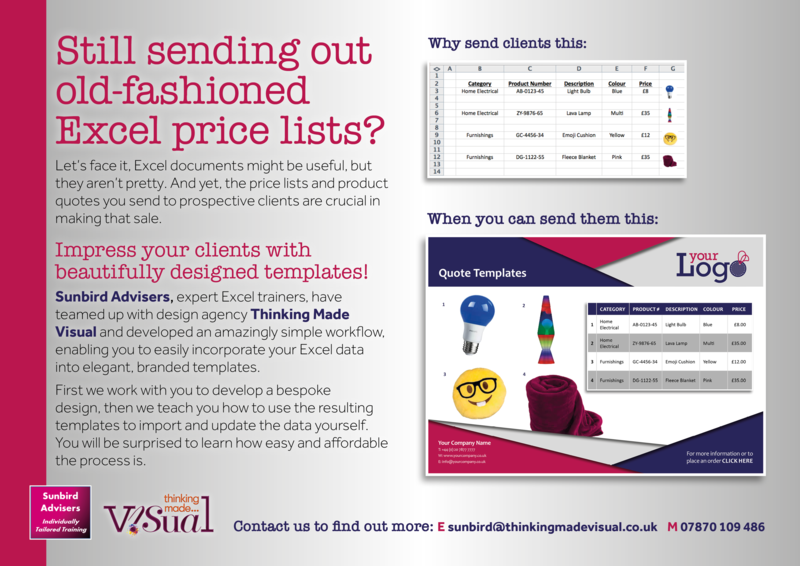 Do you use Excel to send out old-fashioned Excel price lists? Excel spreadsheets are great and have so many uses, but if you are sending out price lists and product quotes you need to send attractive and professional flyers to prospective clients as it is crucial in making that sale. 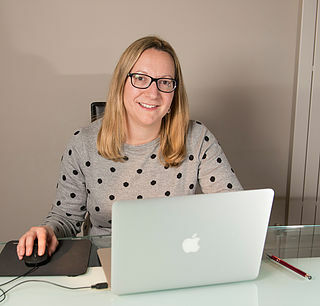 Sunbird Advisers have teamed up with design agency Thinking Made Visual and developed an amazingly simple workflow, enabling you to easily incorporate your Excel data into elegant, branded templates. The great news is that you can still use all your Excel data to make the new templates, as long as the data is in the correct format, the data can be quickly and easily imported into smart templates. We can also incorporate all of your existing photos and logos into the templates. To start with, we will work with you to develop a bespoke attractive design, and then we teach you how to use the resulting templates to import and update the data yourself. You will be surprised to learn how easy and affordable the process is. Please click here to contact us for more information on beautifully designed templates. "Sunbird Advisers and Thinking Made Visual have helped to transform the way we create quotes for our customers. 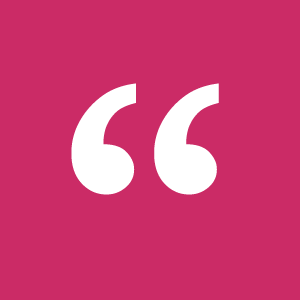 Through a combination of great design, data management and training, we're now able to create impactful bespoke quotes quickly and easily." "This is going to be a life saver! It is clearly going to make a huge difference in terms of time and sanity. Thank you."